The new Horizon PC60 power catamaran ANATOLE has recently completed her successful sea trial and testing period and will be delivered to her new owners in Canada this spring. 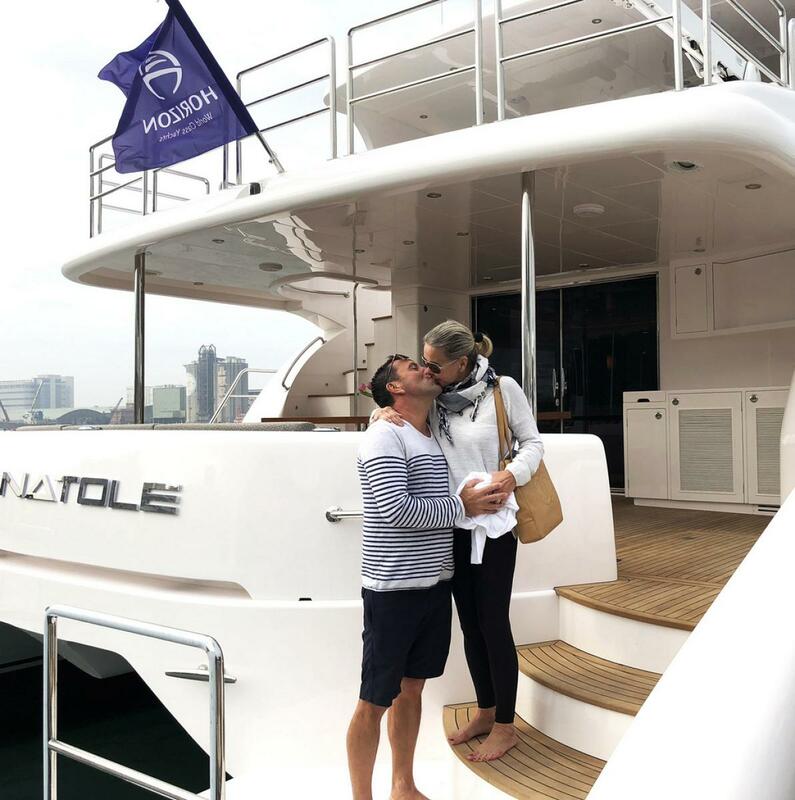 ANATOLE is named after the owner‘s father, with whom she spent much of her childhood cruising around and creating wonderful memories on the water. 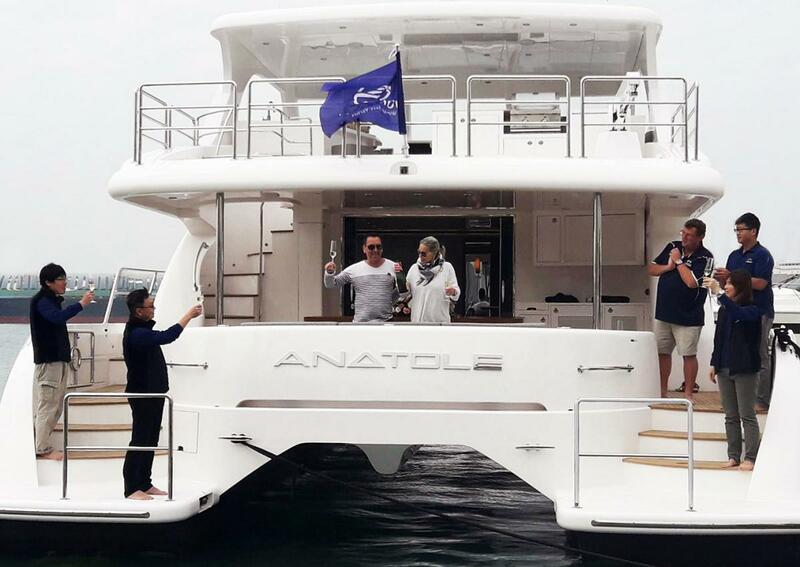 Designed around the owner’s ideas of her dream yacht, ANATOLE has been customized to suit her lifestyle, from the beautiful interior design to the layout and beyond. 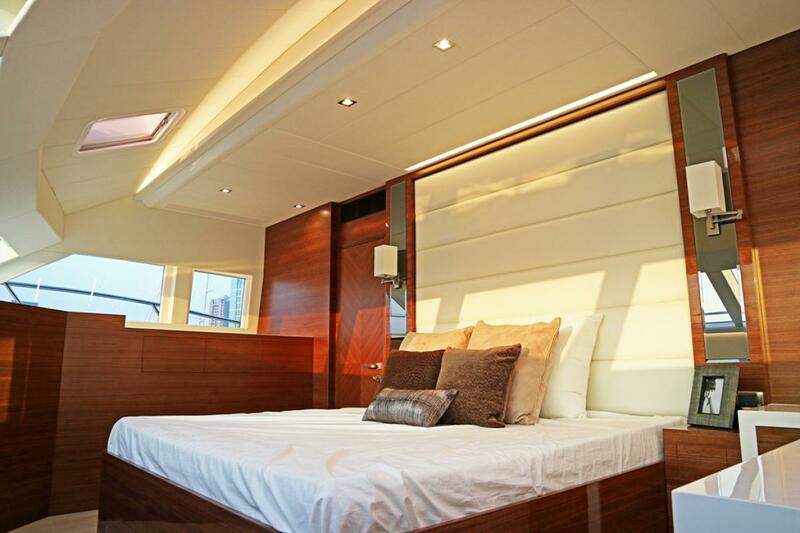 Featuring four large forward windows in her on-deck Master, ANATOLE invites an abundance of natural light into the owner’s living quarters. 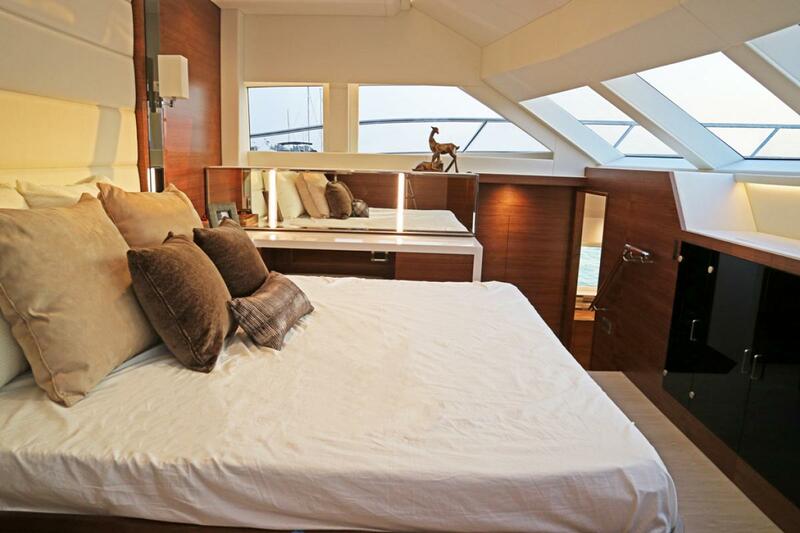 The high ceiling and 24‘6“ beam creates spacious areas throughout the yacht, specifically in the Master, salon, and below deck as well with guest and crew cabins. 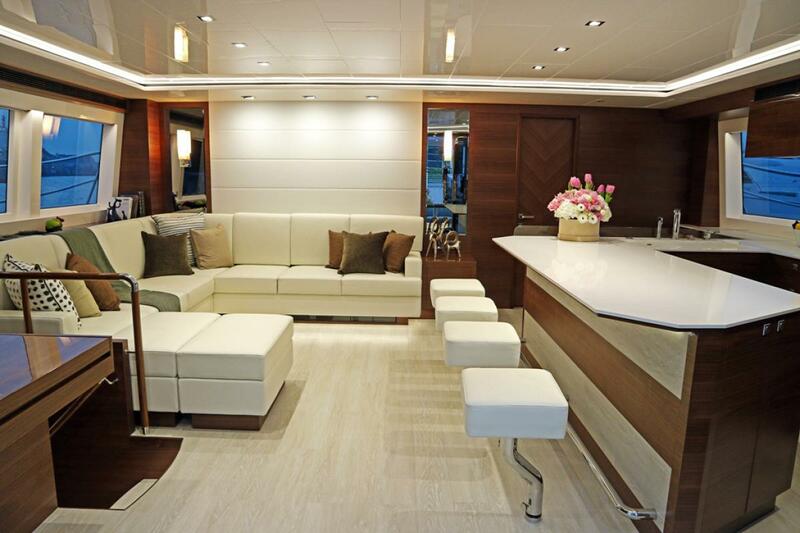 On the flybridge, the entertaining space houses a BBQ and seating for friends and family, providing a wonderful area to take in scenery while underway. 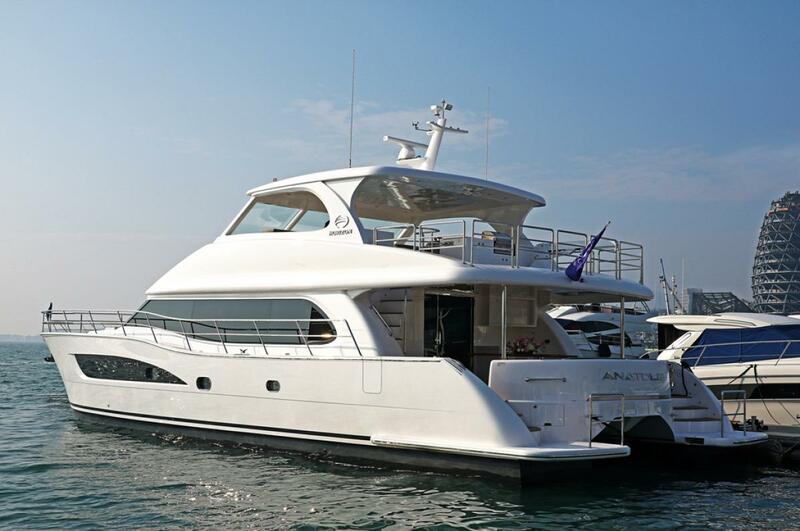 ANATOLE is equipped with twin Cummin 705HP engines and will provide a comfortable cruising experience for her new owners. Horizon is dedicated to building yachts that bring every client’s yachting dreams to life. For more information, please contact us at 561-721-4850 or sales@horizonyachtusa.com.